A flaming billboard… What could possibly go wrong? 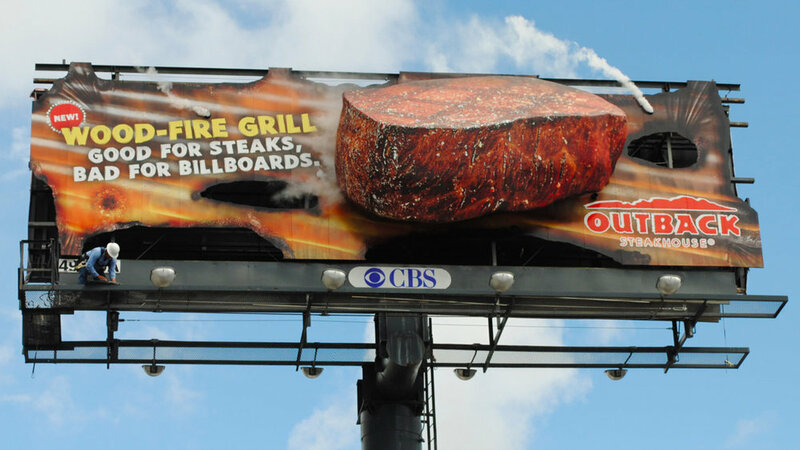 Outback asked us to come up with a simple billboard that told people that they now had the option to have their streak cooked over a wood-fired grill. So we said they should blow up a billboard. So we created 108 billboards across the country that looked like they had been burned to a crisp. *People ask me all the time if this is a real billboard or a comp. I assure you it’s real. Then we made an online video that combined people's love of OOH spectaculars with spectacular fire #FAIL videos. The whole thing generated $4M in earned media.